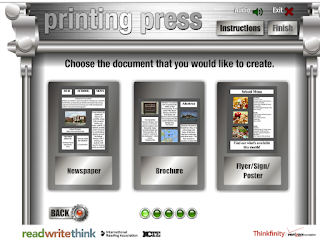 Creating classroom newspapers is a great way for teachers to engage students in a wide variety of literacy activities. Students can use their writing skills to demonstrate their learning, share stories, and collaborate with their peers to produce meaningful reading content. There are several web tools you can use with your students to create class newspapers, the list below features some of our favourite titles that we reviewed in the past. We have also included two important resources where you can access and download pre-designed newspaper templates. Have a look and share with us your feedback. Luidpress offers a wide variety of pre-made templates to use for creating newsletters, flyers, brochures, reports, posters, digital banners, presentations and many more. 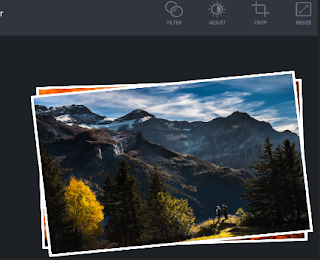 You can easily drag and drop your content to create your visuals. You can also integrate different types of multimedia materials including images, videos, and text right from your Google Drive or other third party platforms such as Dropbox, Flickr, and YouTube. 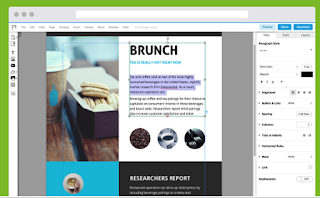 Lucidpress supports real time collaboration allowing you to work with your peers on the same project. You can interact with your collaborators through chat and comments with the ability to track or reverse the edits with revision history. And when your visual is ready, you have different sharing options: you may want to publish it online via a generated link or download it for printing in PNG, JPG, or PDF format. 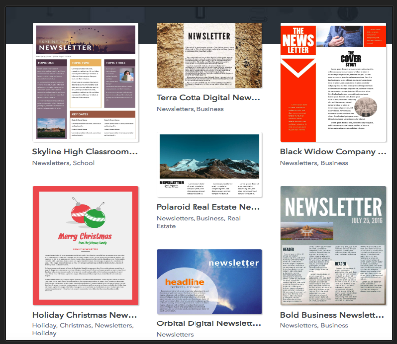 Canva provides a Flyer section where you can have access to a plethora of ready-made templates to choose from. Using Canva’s drag and drop interface, you can insert your photos, text and customize your input the way you like. Once done, you can print or download your flyers to share with others. Canva is also available as an iPad app. Using these templates will enable you to create beautiful newspapers without having to worry about the technical part in the process. 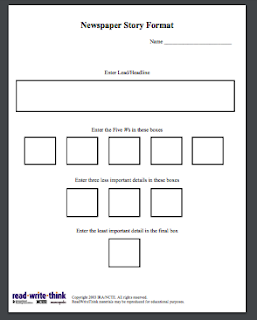 Templates come with pre-designed layouts, different columns, fonts, colours etc. You only need to tweak them a little bit and use your own content to make these newspapers uniquely yours. To use any of these templates, make sure you are logged in to your Google account, click on the title of the template then on ‘use this template’. A copy of the template will open in your Docs where you can start editing and customizing it the way you want.